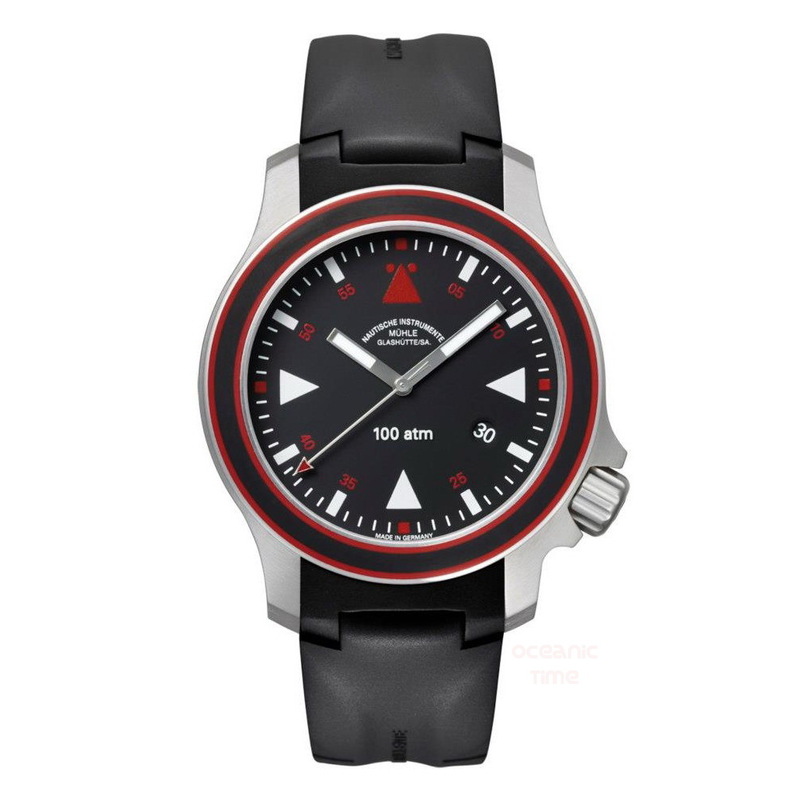 By TLex Mühle-Glashütte have released a HOT new version of the S.A.R., as used by the crews of the German Maritime Search and Rescue Service. The new 10-Year Anniversary Edition has a number of new features of which is a larger case. This comes in either Stainless steel or Stainless steel with a black DLC coating. It now measures 44mm in diameter. 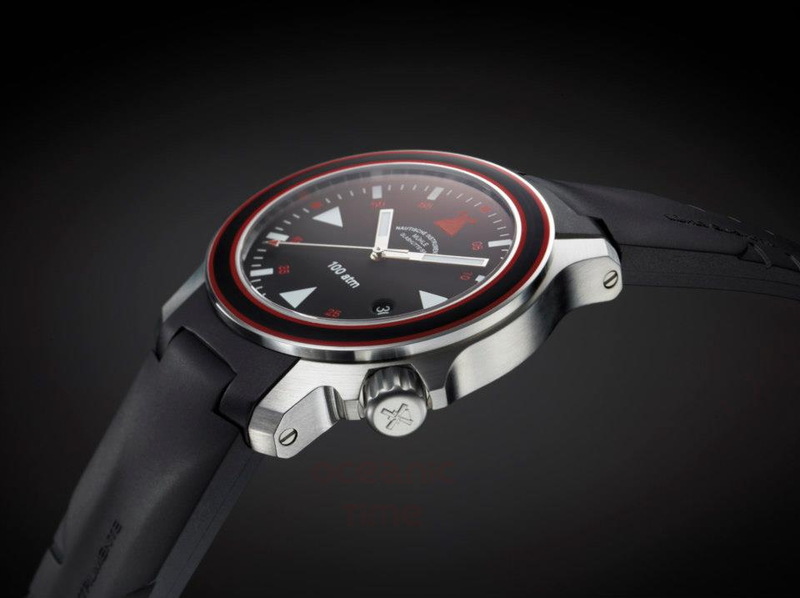 The watch still offers a high degree of water- resistance for depths up to 1000m even though it has a thickness of just 12.2mm and is fitted with a sapphire crystal caseback (I think that’s correct). However the best new of the feature of the S.A.R. 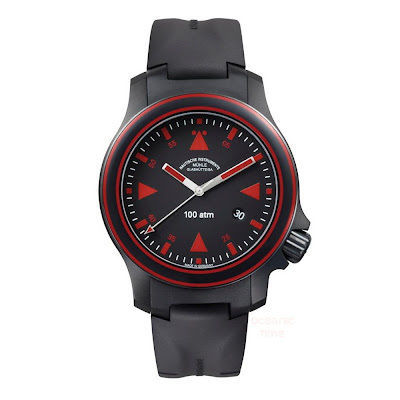 is its matte black ceramic fixed bezel with striking double red rings that it now boasts. Further features include: a 2.5mm thick domed sapphire crystal with anti-reflective treatment. A black dial with numerals, indices and hands in Super-LumiNova. A black rubber divers strap with folding clasp with safety catch and divers extension. And a Swiss made Selita SW 200-1 with Mühle woodpecker neck regulation, custom MG rotor and characteristic surface finishes. It includes stop seconds, dast date adjustment and a power reserve of up to 38hrs. 500 examples will be made : 250 x M1-41-43-KB STEE and 250x M1-41-53-KB DLC . Also read about the Mühle-Glashütte MARINUS Chronograph SE Fulda Challenge . . .